Forever Homes, Vehicle for Change is building homes for children and families. Our process is simple and involves no government help or intervention. 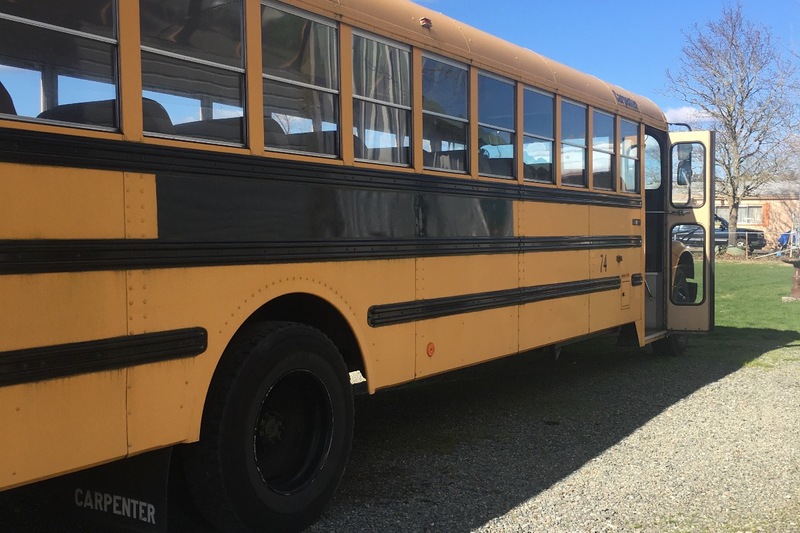 We buy or have a donated school bus in good working order and good overall condition. We take out the interior and then frame it up, do the electrical and plumbing and create a two bedroom home with full kitchen and bath. 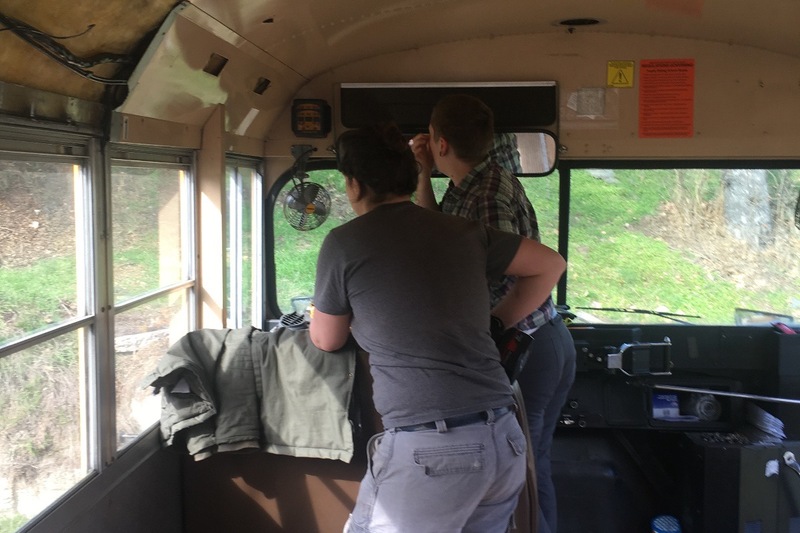 Each bus is roughly 240 square feet and our builders are always looking for ways to innovate with the space and use the greenest materials they can. We have a $25,000 family foundation grant for one forever home for a family whom we will vet and assist in moving into their leased home which they can eventually buy if they wish. But we see the need is so great we ask your help to build five forever converted eco nest skoolie homes every year! Let's end homelessness for families. $20.00 can buy a bunk bed for a child. But we need a stove and kitchen, scaled down but robust appliances that cost anywhere from 400 dollars up, we need new beds and wood and tile. Anything you would need to build a home. The more we get, the more we build and the sooner we get kids and families off the streets and out of the back seat of a car. We don't believe any child should grow up without a bed, a home cooked meal or a shower. Skoolies can house a family with a small footprint while making a big difference! We've received attention for our Forever Homes. More than 443 shares, discussion, news coverage. And thanks to wonderful small donors we've raised $1,019 to house a homeless child and her family. But we're really far away. If you haven't donated yet, would you consider it now? Your money goes directly to creating a home for a child in need. Help a kid feel safe. We have 36 shares, 22 donations and we've raised about $1,000 toward our goal of $25,000 in roughly a week's time. Go you guys! But we've still got a very long way to go. Why do we need that $25,000? That's the cost of buying a school bus, demo-ing it and rebuilding it into a fully functioning eco friendly home for children and families with no safe place to sleep, no home cooked meals or place to shower or use the bathroom. When the average homeless person in the US in nine--you can see the need. 20,000 kids in Oregon alone need these homes. We're a long way from our goal but we've made progress from all of you who have helped so far. Please keep the love moving. Now, who wants to buy a bus? or a stove? or how about a fridge? A phone call from Buffalo, NY from a young man who hopes we raise enough money to hire more crew. It’s his dream to be part of a project like this. Wow. I can’t wait for that day too. Got an email from a man who has his tools and is ready to volunteer on the build team. And Holly donated 50 dollars! Thank you so much. It all matters in every way. If you can afford to give, please do! We need to raise 24,000 dollars to get our next bus rolling! Please donate then share. Go you!! Thank you so much to all of those who have helped raise more than $300 dollars in one day! Forever Home, Vehicles for Change is a non profit building homes for children and families experiencing homelessness. We are building "skoolies" by converting school buses into eco nests of green solar power with kitchens, bathrooms, electricity, bedrooms and full of beauty. No child should grow up without a home. we have a grant from a generous donor for our first bus but need to build four more this year and five every year after. Get onboard our love bus!